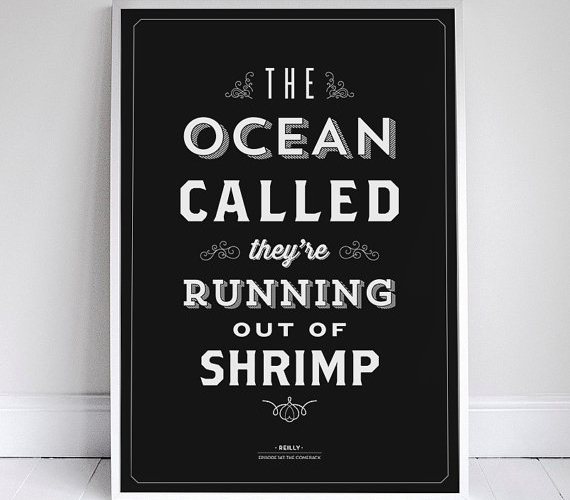 Up your interior decor game with these brilliant Seinfeld posters. 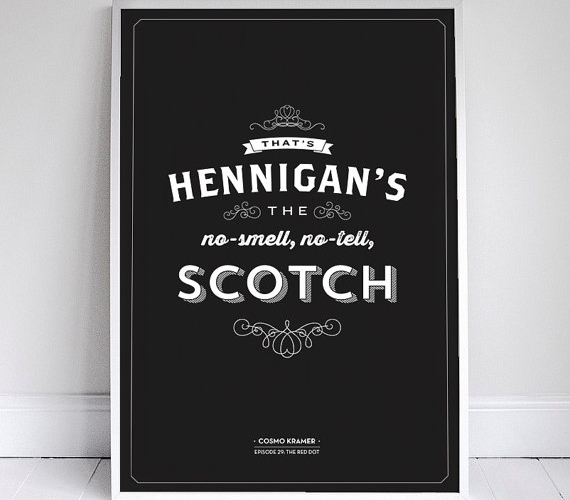 These eye-catching posters from Signfeld on Etsy spell out classic lines from Seinfeld using nifty typefaces. 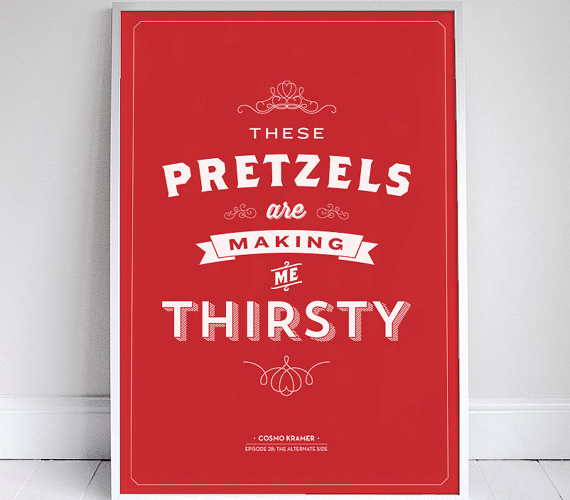 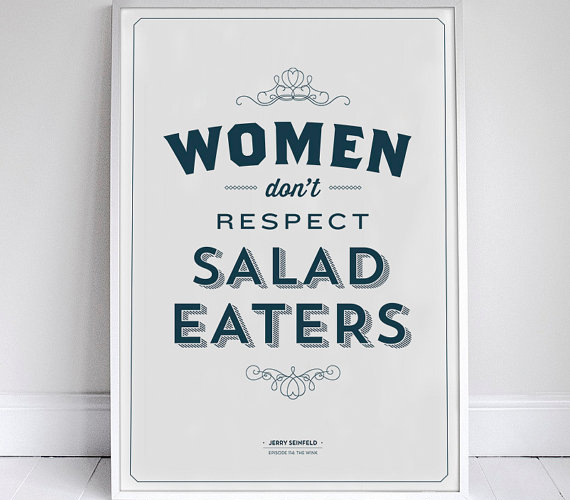 Many of them are iconic food quotes from the series, like when Jerry tells Elaine, “Women don’t respect salad eaters,” and Kramer gets to say the line, “These pretzels are making me thirsty!” in a Woody Allen film. 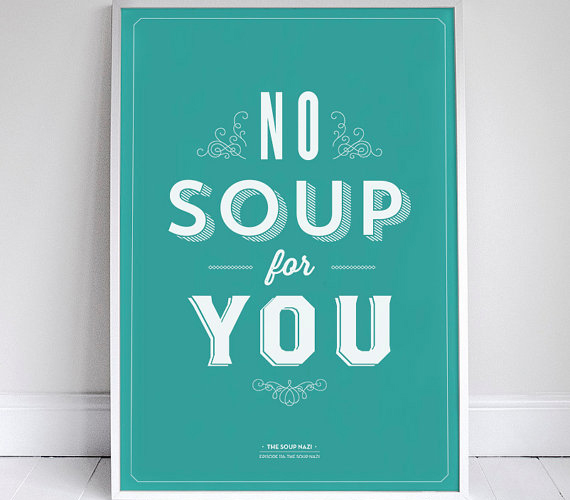 Putting these prints up in your kitchen will most probably fuel Seinfeld-related dinner discussion and post-meal Seinfeld viewing binges—we wouldn’t be mad at either of those outcomes. 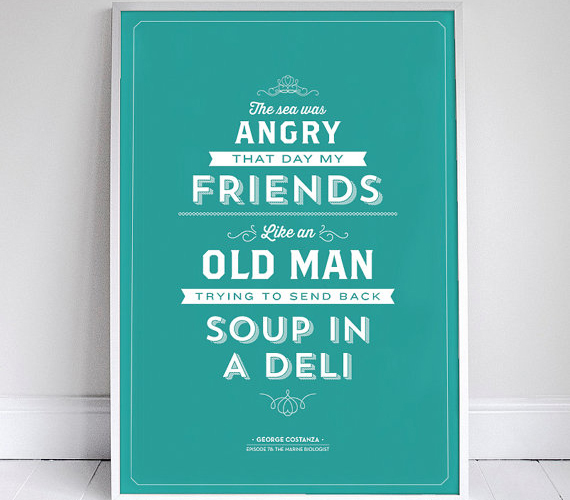 We know what you’re thinking: They’re missing a poster featuring George’s brilliant line, “I flew too close to the sun on wings of pastrami.” Luckily, if you don’t see your favorite quote, you can contact Sign Feld via Etsy to have it custom-made.